The lead up to a martial arts competition can be fairly stressful, especially if it’s your first time competing. The anticipation for the big day paired with a somewhat lack of competition knowledge is definitely daunting. With that in mind, I’ve put together some tips that might be helpful to be competition ready when the time comes. If this is your first competition, chances are you’ll be up against people with a bit more experience than you. As such, it’s a good idea to attend extra classes, especially if your gym has a competitive class that you can go to. When at the class, try and train/spar with the most experienced people you can find. This way, you’ll be prepared for a more skilled opponent come competition day. There’s no point in attending one extra class a week before you compete. Therefore, give yourself a good 8-weeks of training prior to the event. If you want to take competitive martial arts seriously, you may have to continue attending a class 3, 4 or even 5 times a week. As the competition draws closer, it can also be a good idea to try and reduce the risk of injury. Speaking from experience, there’s nothing worse than training and preparing for a competition, only to get injured a week before. Arguably the best way to do this is to avoid sparring a week or two out from the event. If you’re compelled to spar, speak with your training partners and let them know you’ve got a competition. That way, you can still get the feel of sparring, but at a much lower intensity. The chances are your competition is going to be categorized into weight classes. Therefore, it’s important to watch what you eat and drink. For example, the first competition I ever entered, I foolishly had a huge breakfast the morning of weigh-in. I then missed weight by a tiny amount and was by far the smallest in my group. In other words, make sure you eat a balanced diet and aim to weigh the maximum allowed in that weight class. What’s more, eating the correct food will also allow you to train at a high intensity and be physically prepared for the competition. According to the National Sleep Foundation, a poor nights sleep can effect split-second decision making and slowed reaction time. Therefore, make sure you get plenty of rest in order to be mentally and physically prepared. Although I don’t compete competitively anymore, I look back at my competition days with fond memories. The only trouble is, I spent the vast majority of the time being too nervous to enjoy it. I’m sure this had a negative effect on my performance on a number of occasions. As such, stay calm, enjoy your time and you’ll be much more comfortable when your name is called up to fight. 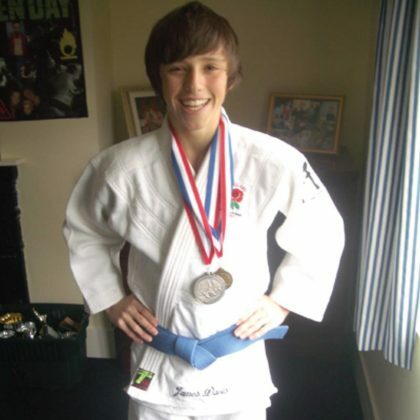 James Davis is a martial arts fanatic who became National Judo Champion at the age of 12 and a member of the Great British Judo Team, competing at an international level. Since then, he has studied various different disciplines such as BJJ, Muay Thai, Boxing and MMA. He spends his time blogging about different martial arts on his website MMA Station and obsessing over the UFC.